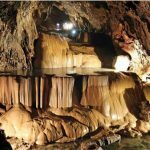 When we talk about tourism in Mountain Province, Sagada would certainly come to mind first. The tourist spots in Bontoc town, on the other hand, are often overlooked though it is the provincial capital. 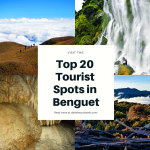 More often than not, tourists go to Bontoc for side tripping after exploring Sagada. 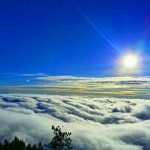 Surprisingly, tourists don’t know that they are missing beautiful and meaningful destinations in Bontoc. Yes, you’ve read it right! 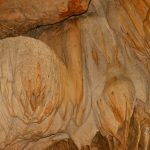 It does offer tourist spots you might never have expected. 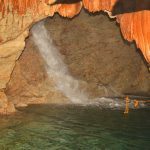 Even more interestingly, you need not go far as these are just within the town proper or just a few minutes’ drive away. 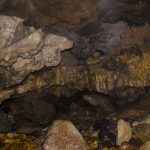 In just a day’s tour or less, here are the top 10 tourist spots you must definitely visit while in central Bontoc, Mountain Province. Oh yes, we were able to glimpse of these places and had happy and meaningful moments in just a day! Of course, there is more to these. But they are for another article. 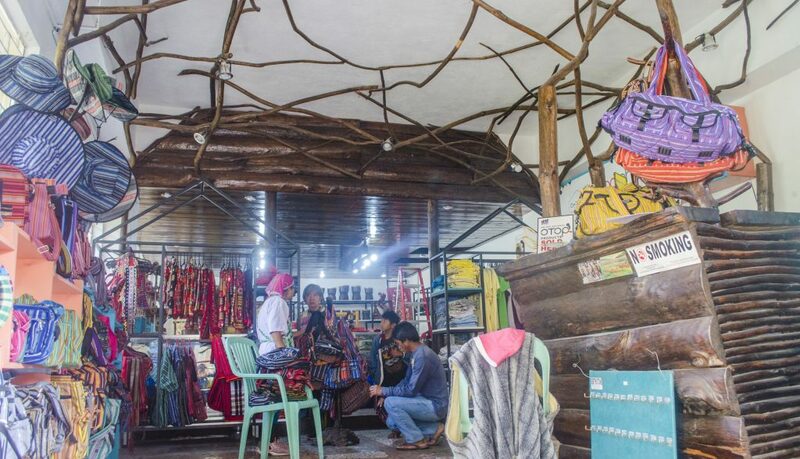 This cultural tourist spots in Bontoc contains an extensive collection of artifact, old and new photos, accessories, weavings, books, magazines, and other reading materials. 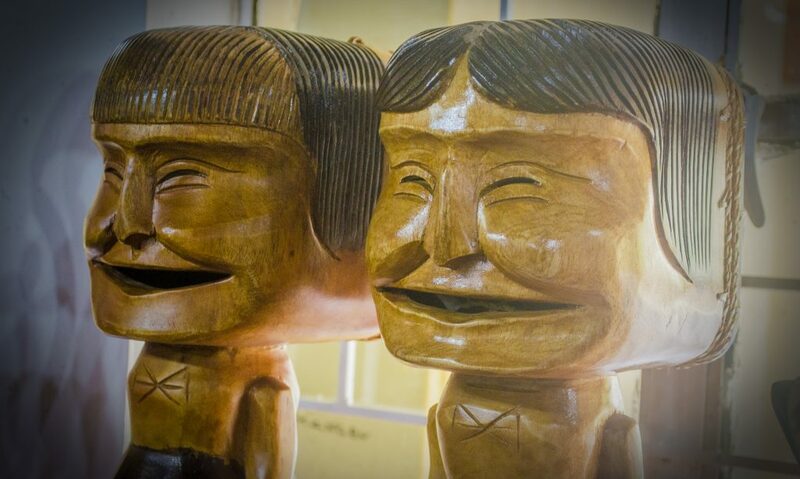 These depict the rich Cordilleran culture especially that of Bontoc and Kalinga. The architectural design of the museum is a cultural beauty in itself. Apart from the main buildings, there is a backyard surrounded with the traditional I-Bontoc dwellings. Entrance fee per person is 120 pesos. The management strictly prohibits taking of photos inside the museum. 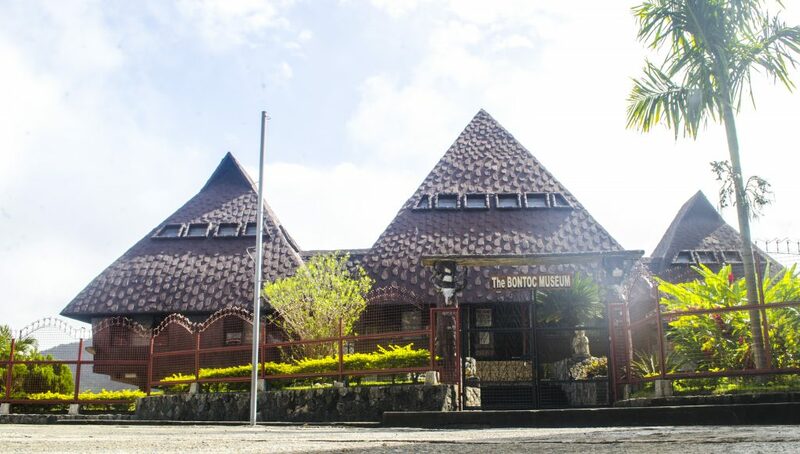 Arguably, the Bontoc Museum is the most popular tourist spot in Bontoc town. Front view of the Bontoc Museum. This building was constructed during the American colonial periods. This serves as the seat of the Provincial governor and other agencies. Part of it, however, was partly demolished to give rise to a new building with a similar design. Criticisms from various civil sectors led to the incomplete demolition. 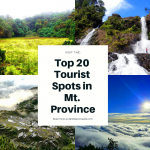 The Provincial Tourism Office (PTO) of Mountain Province is also located here. 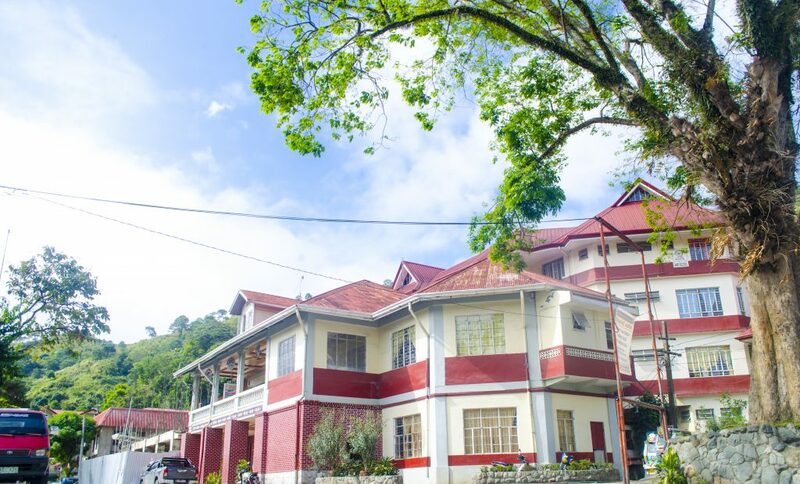 Provincial Capitol in Bontoc, Mountain Province. 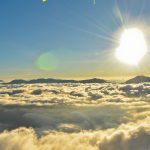 This is visible along the Halsema highway. 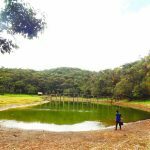 It can be reached via a 20-minutes’ walk or 5-minutes tricycle ride from the town proper. The Bontoc ancestors used stone walls to build the rice terraces. An abundant water supply coming from the forested mountains irrigates these terraces all year round. 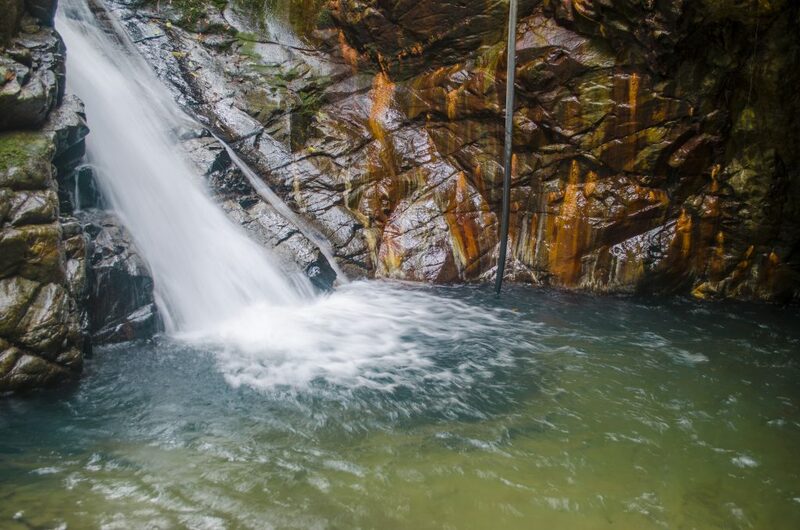 During the rainy season, the terraces project a rare view of stunning terraced waterfalls. The mighty Chico River passing along the foot of the terraces provide them with a more scenic view. Kadchog Rice Terraces along the Chico River. Kadchog Rice Terraces of Bontoc, Mountain Province. This is one of the historic and oldest buildings in Bontoc, Mountain Province. It’s pinkish and Gothic architectural design makes it a distinguishable landmark. It also has a cultural touch, reflecting tolerance to the good culture of the locals. 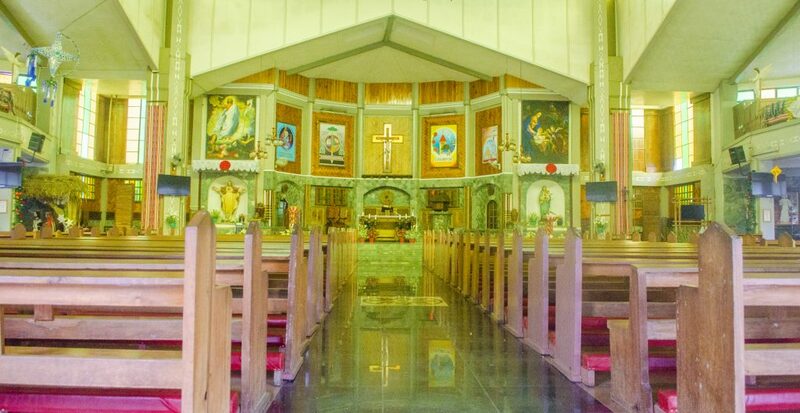 Though majority of them are Catholic Christians, many still abide by their old customary beliefs and practices. There are masses here not only during Sundays but also weekdays (every 5:00 am). After the morning masses, churchgoers usually proceed for a coffee break at the public market. Santa Rita Cathedral. One of the historical tourist spots in Bontoc, Mountain Province. Interior of Santa Rita Cathedral. 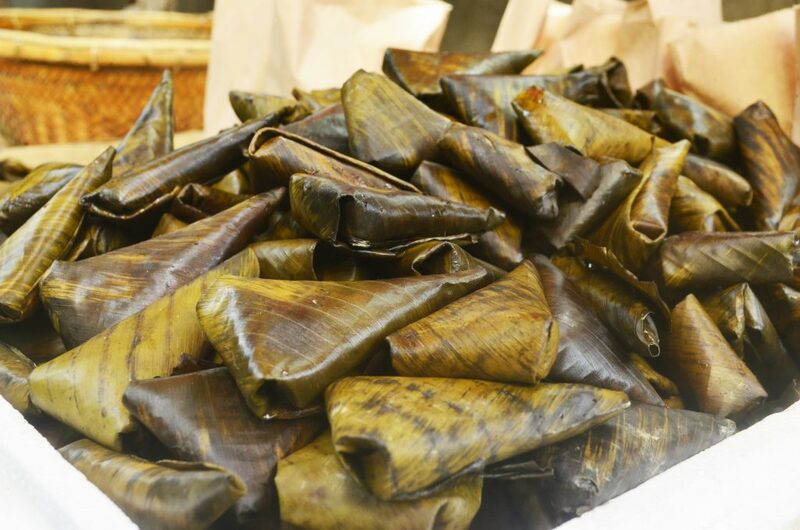 If you are looking for an authentic culinary treat or traditional items for sale, then you should definitely visit this market. 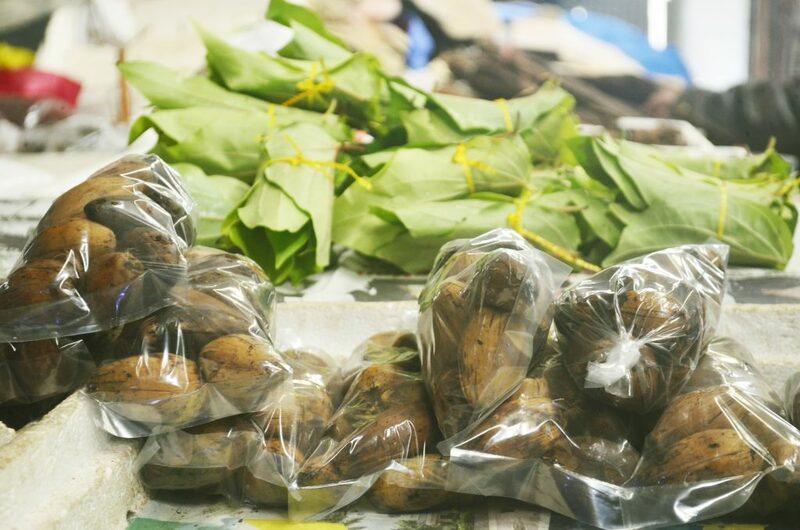 Traditional products of Mountain Province such as etag (smoked meat), inasin (salted meat), muscuvado sugar, heirloom rice varieties, including delicacies like the linapet and patopat are for sale here. On the second floor are rows of coffee shops serving brewed coffee with a matching pancake. 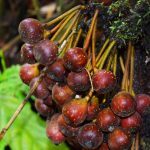 The coffee are mostly of Arabica and Robusta varieties. Linapet sold at Bontoc Market. 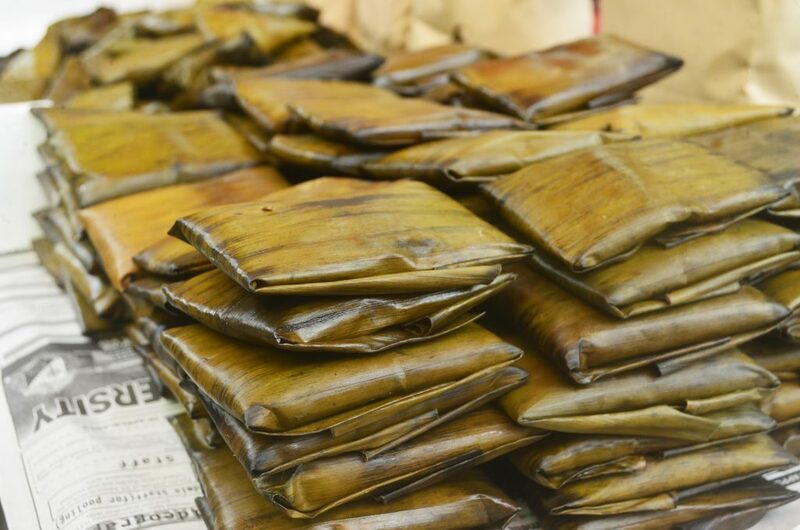 Patopat sold at Bontoc Market. This is located near the Provincial Plaza (above the Landbank of the Philippines-Bontoc Branch floor). 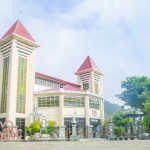 This center showcases and sells the One Town and One Product (OTOP) of the different municipalities of Mountain Province. 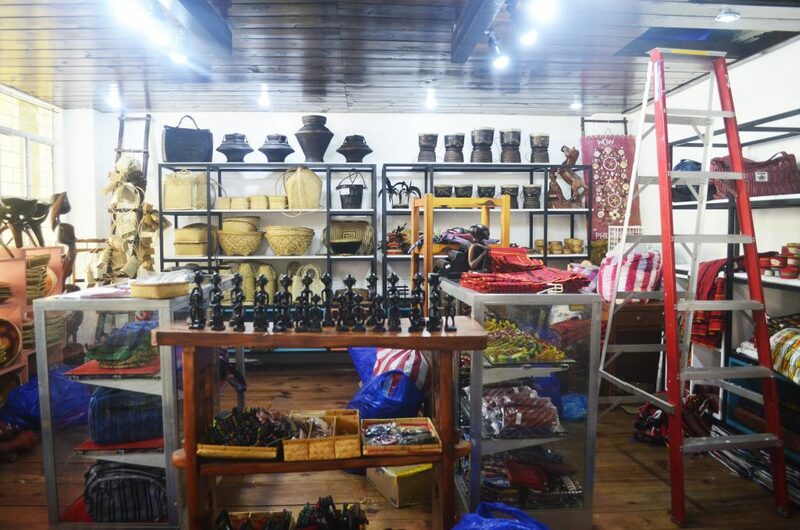 These products include beautifully-crafted Sagada weavings, organic wines and vinegars, colourful beads and accessories, as well as rattan-made products like baskets and bags. Tourists visiting this store will have a glimpse of the diverse and authentic culture of Mountain Province. Pasalubong Center in Bontoc, Mountain Province. One of the items sold at Bontoc Pasalubong Center. 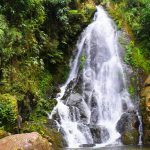 This is a series of waterfalls, located at barangay Samoki, Bontoc, Mountain Province. The highest of these measures more than 20 meters high. 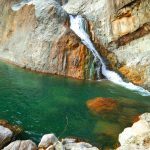 Getting to each of the falls, however, is a real challenge especially that one would need to hold unto plant roots, vines, and rock crevices to avoid slipping. During sunny days, the waterfalls exude a blue appearance, similar to that of the ocean. 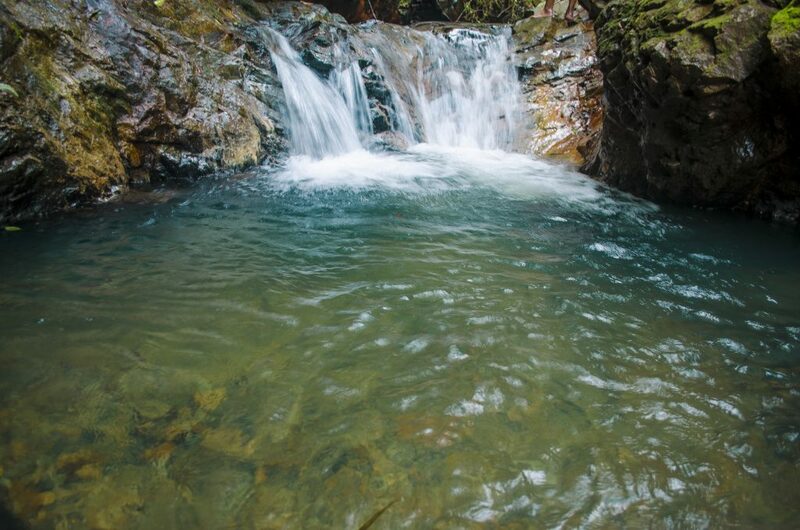 There are naturally-built pools, offering an invigorating dip. Local interventions, however, need to be made to ensure convenience, safety, and sustainability of the area. On a personal note, this is one of the best tourist spots in Bontoc. 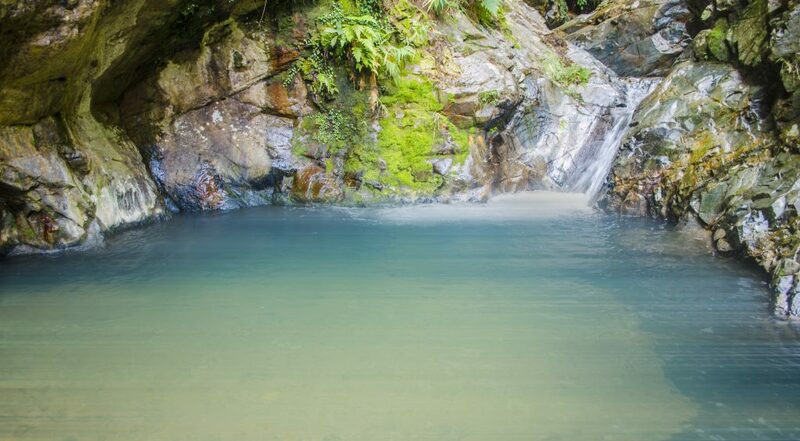 Blue Lagoon Falls. 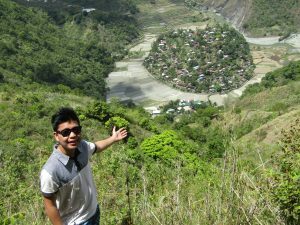 One of the hidden tourist spots of Bontoc, Mountain Province. 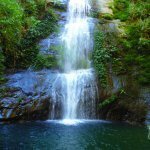 One of the falls of Blue Lagoon in Bontoc, Mountain Province. 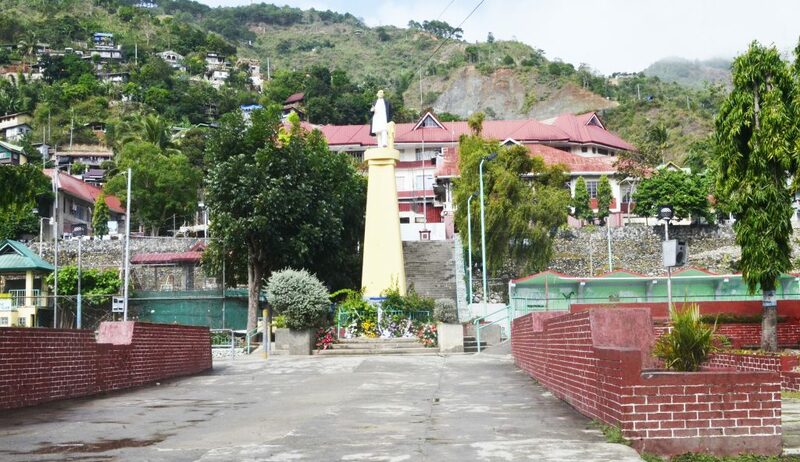 From here, one could see the panoramic view of Bontoc town and its surrounding mountains. To get here, one needs to ride a tricycle for 300 pesos (back and forth). If you want to stretch some muscles or lose fat, you may ought to jog your way for more or less an hour. This is a Catholic property located high on a mountain slope. 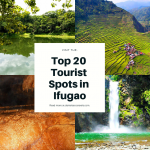 It overlooks the town of Bontoc including the surrounding mountain ranges and the Chico River. It contains several, big buildings with beautiful architectural designs. These are commonly used for retreat, seminars, and trainings. The landscape is also another sight to see. Located in front of the Provincial Capitol, this public plaza is a favourite hangout station among the locals. 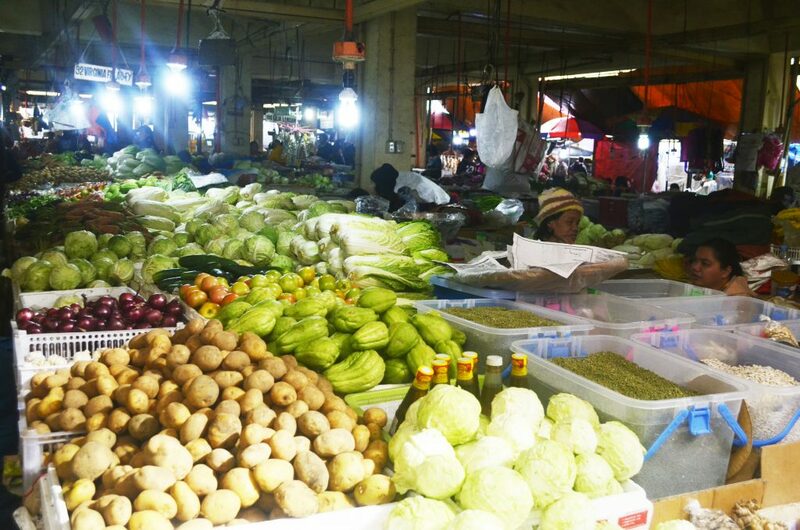 During festivals such as Lang-ay, this serve as a venue for trade fairs. 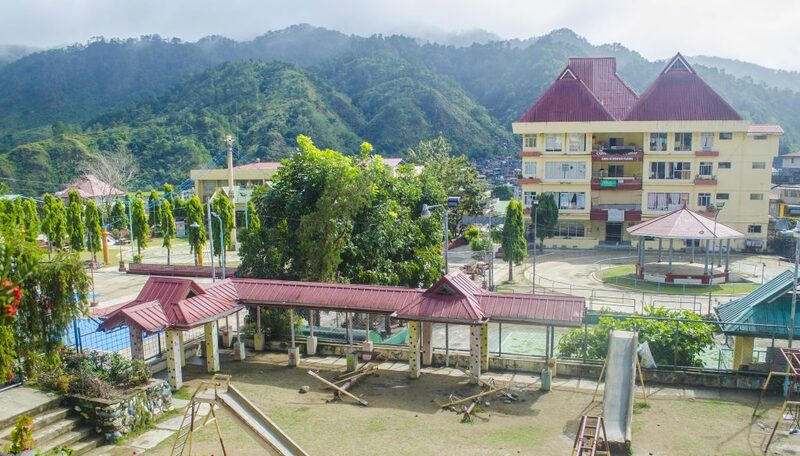 In addition, the Bontoc Commerical Center, Provincial Library, Provincial Justice Hall, and the Children’s Playground surround the said park. There is also a basketball and a long tennis lawn. 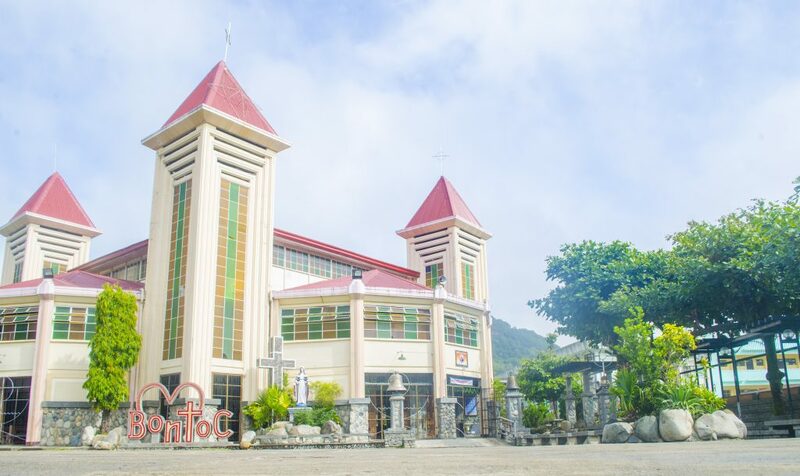 For guidance and additional information about the tourist spots in Bontoc, I advise travelers and visitors to visit the Bontoc Tourism Office at the newly-constructed Municipal Building. Sayang ta awan picture you ijay teng ab…han kayo nginmato? Ngem okay lang ta mayat jay da pictures ken details jay specific places.